When people think of Dallas, Texas, usually a few key things come to mind -- like country music, brisket and an impressive roster of Fortune 500 companies. But something not everyone realizes is that the “everything’s bigger in Texas” rule applies to Dallas’ budding small-business scene, too. According to a 2013 survey by Thumbtack.com, Texas is one of the five friendliest U.S. states for small businesses, and Dallas ranks sixth among the top 10 small business–friendly cities in the nation. Highlighting the power of the local business scene, we’ve partnered with Dell and Intel to bring you eight unique Dallas-based boutiques, restaurants and indie companies that contribute to the thriving community. With people seemingly obsessed with healthier food options (organic options, kale), it only makes sense that their canine friends are following suit. 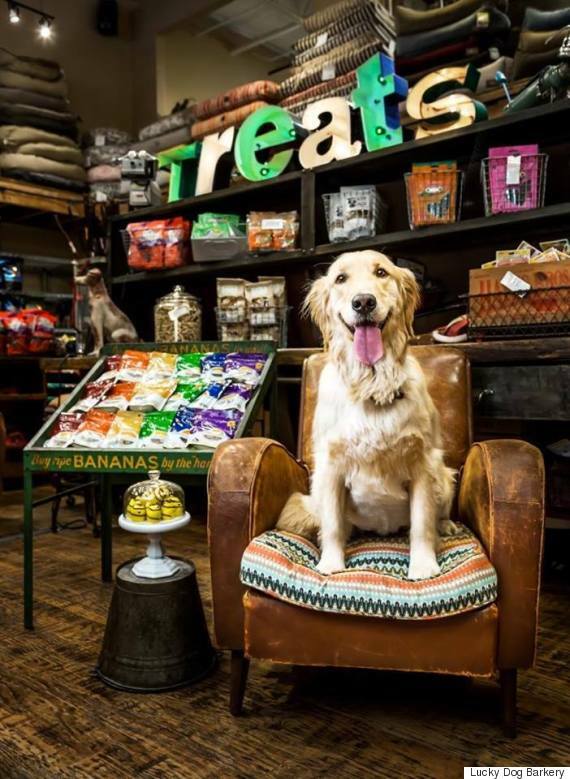 The Lucky Dog Barkery is a one-stop holistic dog food, treats and pet supplies shop for pups (well, really, their owners) in Dallas. Featuring everything, its website says, “a healthy, stylish and fun dog” could ever need -- like raw and organic food, unique leashes and collars, and even dog art, dog gifts and dog cards -- the Barkery promises no dog leaves without a biscuit! This Mark Cuban–backed business began when MBA classmates Swapnil Bora and Corey Egan took their bright (pun intended) idea to the 2010 Business Idea Competition at the University of Texas at Dallas. The pair won first place and $5,000. With their earnings, iLumi Solutions was born. 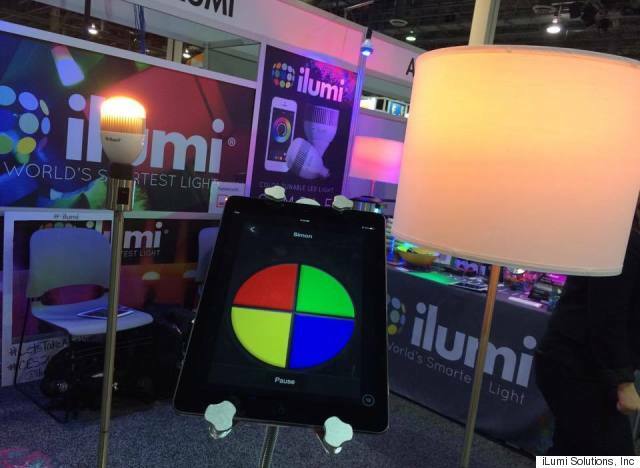 The business, based in nearby Plano, creates color tunable and intelligent LED lights that can be controlled wirelessly via a mobile app. Not only does iLumi make it easy and affordable to add atmosphere to any room, the system is also incredibly energy efficient -- ensuring your lights are off even after walking out the door has never been easier. Doing research on doughnut shops in the Dallas-Fort Worth area, James St. Peter uncovered some surprising figures. According to his business’ website, he realized that 90 percent of shops were using the same supplier -- and the remaining 10 percent was made up of national chains. 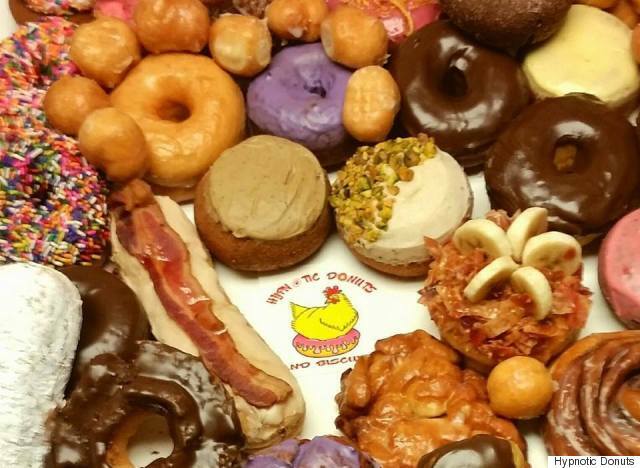 Aiming to spark a “Dallas Donut Revolution,” St. Peter created Hypnotic Donuts, which open its doors in June 2010. Everything on the menu is made in-house, by hand, using quality ingredients, from the donuts (including vegan options) to the chicken biscuits to poutine. For a hipster flair, the Dallas shop’s interior is furnished and outfitted with reclaimed goods. This family-owned business located in the Park Cities area of Dallas has been bringing joy to kids of all ages (even the 50-plus crowd) for 30 years. The Toys Unique! store owners are dedicated to traveling the country in search of the latest, most exciting toys, and one Yelp reviewer defines its selection as “a little all over the place with maybe a lack of focus, but you might find some junky prize to fit into someone’s eternal childhood dreams.” Offering everything from building blocks to tea sets to Legos to princess outfits, Toys Unique! 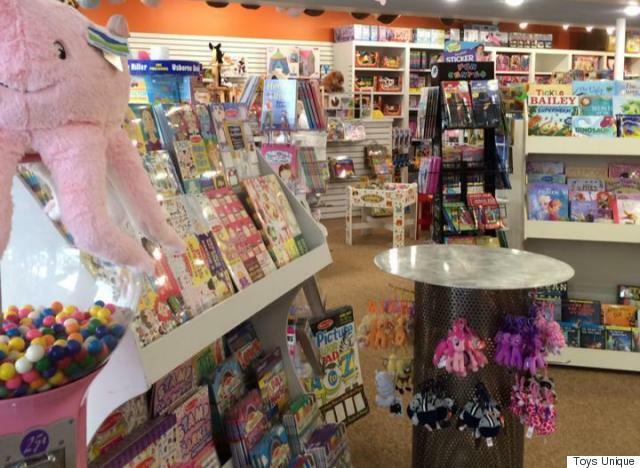 lets customers feel like kids in a candy store … er, toy store … the moment they step inside. Dallas County’s first distillery of hand-crafted, small-batch whiskey (think bourbon, rye and single malt) is the byproduct of entrepreneurs Marshall Louis and Herman Becklery. 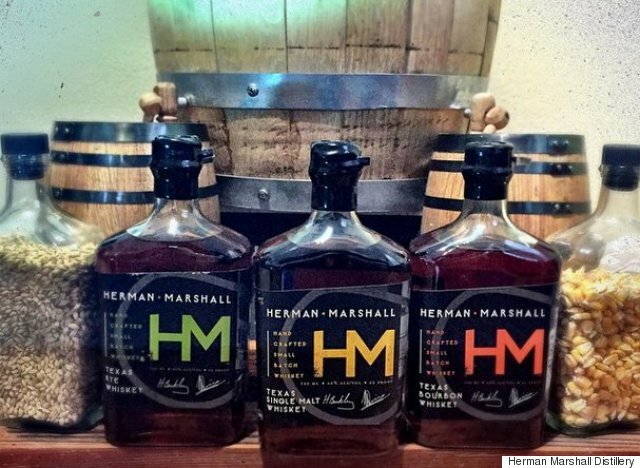 Popular restaurants, pubs and bars throughout Dallas, including The Londoner, Christie’s Sports Bar and Grill, and the Standard Pour, serve their patiently aged liquor, which they’ve aptly named Herman Marshall. The brand garnered attention in 2013 with an honorable mention at the prestigious, blind-tasted Judging of Artisan American Spirits, a competition held by the American Distilling Institute -- and those judges don’t mess around. If you’re still paying off your student loans -- or have ever balked at the cost of higher education -- you know that it costs a pretty penny to learn a new skill or earn a degree. Online courses and universities have helped lower the cost of higher education, and approximately 7.1 million Americans are currently enrolled in at least one online class, according to the Babson Survey Research Group. To increase the availability of quality online courses and degree programs by universities and community colleges -- thus creating a more affordable education system -- Dallas-based iDesignEDU provides its partners with instructional design support, as well as quality-assurance and consulting services. The education management company works with faculty and administrators to convert traditional university courses into an online format that is equal in value to the in-person experience. Priding themselves on being self-described cheese enthusiasts, Rich and Karen Rogers, the owners behind Dallas’ Scardello cheese shop, share their excitement about artisan dairy with guests. The cut-to-order cheese shop serves roughly 150 kinds of handcrafted cheeses, and tasty accompaniments (like wine, fresh artisan bread and sandwiches). 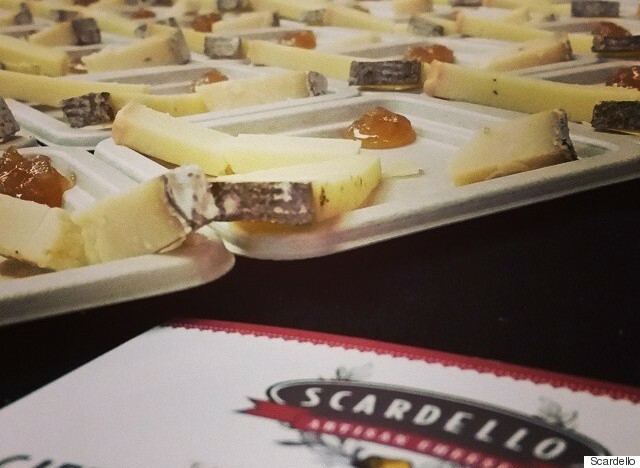 With wine tastings every Saturday, a Cheese Club, and in-store classes like Cheese 101, Fondue Night, and Chocolate, Cheese and Bubbles, Scardello is committed to its community … and, of course, cheese. Maintaining a healthy lifestyle is about as easy as executing a complicated yoga pose (aka, not easy at all). That's exactly why Susan O’Brien and Sarah Chapin started a guilt-free snack food company featuring vegan, gluten free, non-GMO and kosher certified options. Born out of the "yoga culture" celebrating raw, plant-based oils, Hail Merry offers customers healthy, yet delicious snacks and desserts (like Miracle Tarts, Macaroons, Grawnola and more). Hail Merry products are now available at national chains like Whole Foods, but O’Brien and Chapin remain devoted to their community -- and to women in business. The pair, who regularly use Dell technologies, often partner with Dell Women’s Entrepreneur Network, a program designed to inspire and empower women in technology and business by connecting them with networks, sources of capital, knowledge and more.